As a mother, knowing the best way to assist your child in this loss can be overwhelming, especially when you are also trying to deal with your own grief. For many matriarchs, they feel that they have a responsibility to their child to be strong, to hide emotion and never let them see you cry, as that may upset the child even more. Quite the contrary. Children are absolutely fabulous when it comes to the rituals of mourning. In fact, they are organic mourners and instinctually just know how to deal with loss. For adults, we place too many societal rules on the process and try to conform to what it SHOULD look like or what they hear from others as to the protocols on mourning the loss. Children, they do it right. So our role is to let them do it right. Children will grieve in short, intense doses and will then distract themselves to ease the pain. They will let in just a bit of their emotion at one time, will turn to a distraction such as play, and then will allow a bit more of the emotion. Therefore, many parents will watch this process and assume that their child is “fine” because they did not take the entire emotion in at one time, like adults do. Or they will describe the child as “aloof” because they kept finding the distractions. This is why children will many time be referred to as “forgotten mourners” because their process of dealing with death is done through the dosing. However, children need to be given a safe environment and the safety of expression to be fully brought into a healthy mourning process. Let’s talk about a variety of ways to help the child through the loss of a pet. 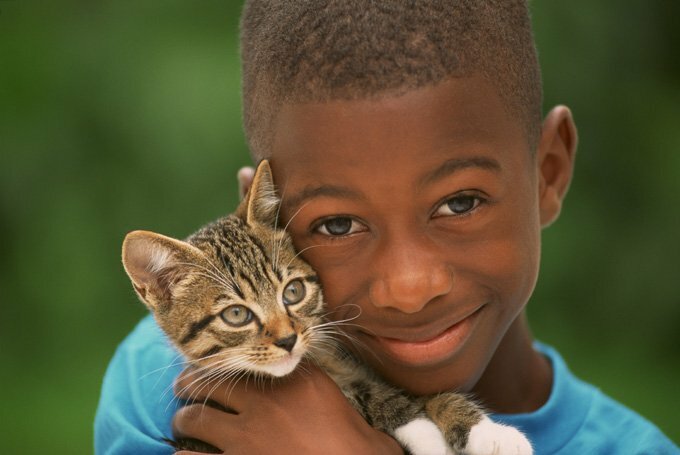 First of all, allow the child the opportunity to say good-bye to the deceased pet friend. This is one of the first steps in the healthy aspect of dealing with the loss. As humans, we process most information through our eyes, so seeing a deceased being confirms that the death is real…and, of course, the child is going to cry. Don’t be scared of the outward showing of this emotion. Your role as a parent is to give the child the permission to show this emotion and to provide a safe place (including a warm hug and in your arms) to do this. Help them with the proper words to use also. It’s okay to say “die” or “dead.” Use the right words and as hard as it is, make this a teachable moment that they will forever remember. On a side note, you know the maturity of your child better than anyone. 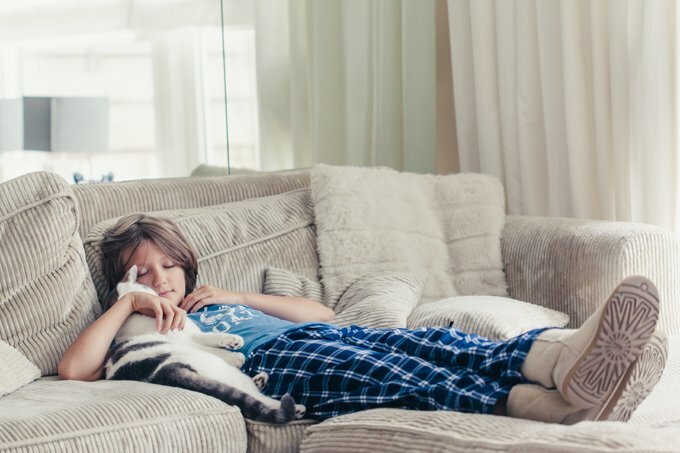 Therefore, the topic of children being a part of euthanasia is one that has to be unique to the child, his or her age, and maturity level. Being a part of euthanasia and having the opportunity to say a final good-bye are two separate events. Don’t confuse the two and ALWAYS allow the child the opportunity for their good-byes. It should be your call as the parent in determining if your child can handle the event of the euthanasia. Writing a letter to the pet. Writing a letter about the pet. Planting a flower in the pet’s memory. Setting up a Tribute Table at home that will showcase all of the things that were important to that pet as a part of the family. 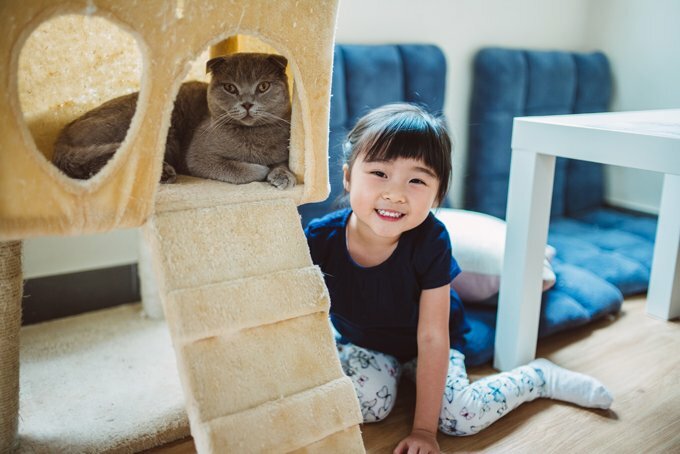 Consider having a Celebration of Life ceremony where the child is allowed to talk about the pet, what he/she will always remember, what lessons the pet taught the child, and what they will miss most. Help them with a donation drive to support a local shelter or rescue group. Make a stepping stone to place outside in the flower beds to forever honor where that pet liked to lie during those sunny days. Make a clay paw print of the pet so that they child can keep this in the safety of his own room. Allow them to assist with the choosing of an urn or burial place. Get them actively involved in this process so they truly feel included. Children do want the education and information on what’s just happened with the death of their pet. Be open. Be honest. And allow them to do what naturally comes to them in their emotions and in their requests to pay tribute to a pet they loved dearly too.